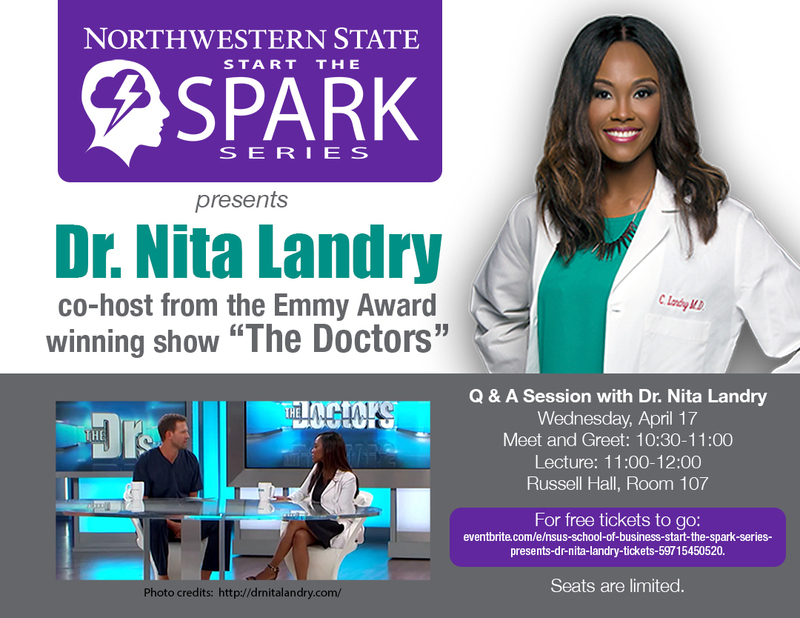 NATCHITOCHES – Northwestern State University’s College of Business and Technology will host guest speaker Dr. Nita Landry from the hit television show “The Doctors” beginning at 10:30 a.m. Wednesday, April 17 in Russell Hall Room 102. During the Q and A-style lecture, Landry will discuss her life as a doctor and a businesswoman as well as the importance of giving back. There is no charge for the event, but seating will be limited. The lecture is being presented as part of the Spark Series, intended to create interest in business and philanthropy among students and the community. For information on the event, contact Carmella Parker, professor and coordinator of outreach and special projects for the College, at parkerc@nsula.edu or (318) 357-5723.